A woman walks along a rooftop in a slum in Dhaka, Bangladesh, in 2012. Victims of recent arson attacks taken to the Burn Unit at Dhaka Medical College Hospital are now able to access psycho-social care from international medical humanitarian organisation Médecins Sans Frontières (MSF). Services are similarly being made available to their caretakers. Since 31st January 2015, when MSF began working under an agreement made directly with Dhaka Medical College Hospital, the medical group has been providing consultations to 68 people suffering from psychological problems related to the traumatic experience they have suffered and the subsequent recovery process. 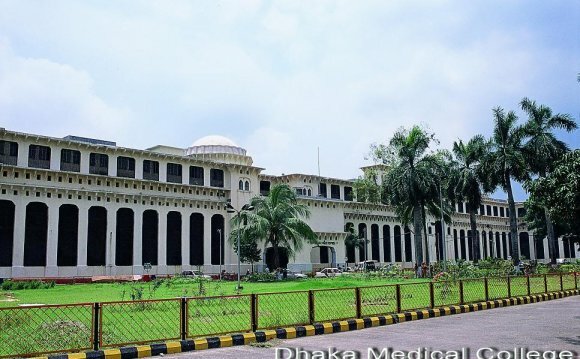 While MSF is focusing on the psycho social needs of burns victims, it has also donated approximately 850, 000 takas worth of drugs and medical equipment to assist Dhaka Medical College Hospital’s treatment of their physical injuries. MSF first worked in Bangladesh in 1985 and has been running its current Dhaka project since 2010. As part of the emergency response component of the Dhaka project, in 2014 MSF provided psycho-social services in Dhaka Medical College Hospital following similar levels of violence. The same year, the medical humanitarian organisation also deployed a team to treat 1, 700 people during a three-month malaria outbreak in the Chittagong Hill Tracts.